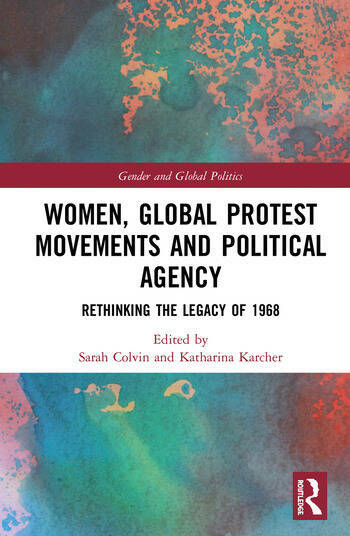 This volume analyses and historicises the memory of 1968 (understood as a marker of an emerging will for social change around the turn of that decade, rather than as a particular calendar year), focusing on cultural memory of the powerful signifier '68' and women’s experience of revolutionary agency. After an opening interrogation of the historical and contemporary significance of "1968" – why does it still matter? how and why is it remembered in the contexts of gender and geopolitics? and what implications does it have for broader feminist understandings of women and revolutionary agency? – the contributors explore women’s historical involvement in "1968" in different parts of the world and the different ways in which women’s experience as victims and perpetrators of violence are remembered and understood. This work will be of great interest to students and scholars of protest and violence in the fields of history, politics and international relations, sociology, cultural studies, and women’s studies. Sarah Colvin is the Schröder Professor of German at the University of Cambridge, UK. Her recent book publications include Ulrike Meinhof and West German Terrorism (2009), Women and Death: Warlike Women in the German Literary and Cultural Imagination (co-editor, 2009) and The Routledge Handbook of German Politics and Culture (editor; Routledge 2015). Katharina Karcher is Lecturer in German Cultural Studies at the University of Bristol, UK. Her research interests include feminist theory, European women’s movements, and the history of political protest, extremism and violence in the Federal Republic of Germany. She is the author of ‘Sisters in Arms?’ – Militant Feminisms in the Federal Republic of Germany since 1968 (2017).